"the dreams of reason are intolerable." "Can we devise more humane models that correspond to what we are?" "As people on the fringes, inhabitants of the suburbs of history, we as Latin Americans are uninvited guests who have sneaked through the West's back door, intruders who have arrived at the feast of the modernity as the lights are about to be put out. We arrive late everywhere, we were born when it was already late in history, we have no past or, if we have one, we spit on its remains, our peoples lay down and slept for a century, and while asleep were robbed and now they go about in rags, we have not been able to save even what the Spaniards left us when they departed, we stabbed one another . . . "
"The theme of development is intimately linked to that of our identity: who, what, and how we are." "I repeat that we are nothing except a relationship: something that can be defined only as pat of history." "The question of Mexico is inseparable from the question of Latin America's future, an this, in turn is included in another: that of the future relations between Latin America and the United States. The question of ourselves always turns out to be a question of others." "The United States, smiling or angry, its hand open or clenched, neither sees nor hears us but keeps striding on, and as it does so, enters our lands and crushes us." "But conversation is not their forte: they do not know how to listen or reply." "This criticism of progress is a portent, a promise of other changes." "If I ask myself 'Can the United States carry on a dialogue with us ?' my answer would be yes – on the condition that they first they learn to speak with themselves, with their own otherness: their Blacks, their Chicanos, their young people." 14 December 1969, Austin Texas. The other Mexico – where native, indigenous languages are spoken. "we are inseparable from our fictions"
"Criticism as freeing ourselves ." "Criticism unfolds the possibility of freedom and is thus an invitation to action." 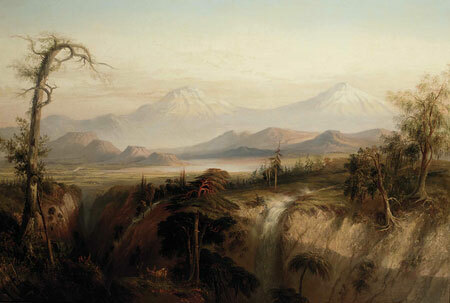 "the theme of Mexico leads to a reflection upon the fate of Latin America. Mexico is a fragment – of a vaster history." "a recovery of our true history"
"deal with the problem of development"
"the inequality between technological & economic development." "Can we devise more humane models that correspond to what we are? "arrived at the feast of modernity as the lights are about to be put out." "Will we now be capable of thinking for ourselves?" "explosions of disgust and hatred that disrupt the banquet of the West." "The question of ourselves always turns out to be a question of others." "The US enters our lands and crushes us." "the capacity for self criticism that is unfolding within them." "criticism of others begins with criticism of oneself." the universality of youthful protest "a being that desires." "The young are questioning the validity and meaning of the very principles that underlie the modern age." "For the first time since the philosophy of progress grew from the ruins of the medieval universe, the young are questioning the validity and meaning of the very principles that underlie the modern age –and they are doing so within the most advanced and progressive society in the world, the United States." ". . . The question they ask is one that only a technological society can ask itself, and the answer to it will determine the fate of the world we have made." " . . . how can the now, by nature explosive and orgiastic, be inserted in historical time?" "The other alternative is to perish in a suicidal explosion or to sink deeper and deeper into the current process in which the production of goods is in danger of becoming less than the production of refuse." "In the west the young rebel against the mechanisms of the technological society, against its tantalizing world of objects that wear out and vanish almost as soon as we posses them, against the overt or covert violence which that society brings to bear upon its minorities or, in foreign affairs upon other peoples." 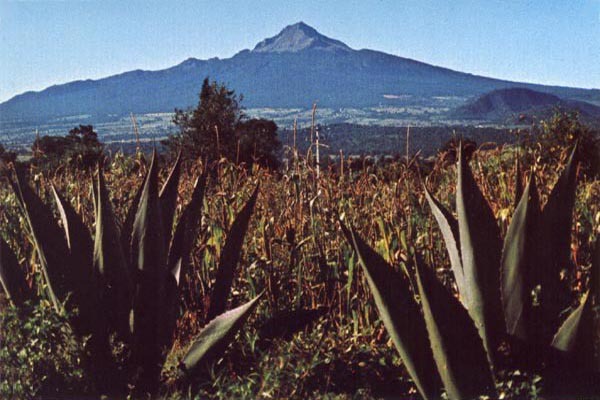 "The theme of the two Mexicos, one developed and one undeveloped, has appeared here. . . "
We risk being out of touch with the actual situation in which the world now finds itself. What is our 21st century identity? The Mesoamerican pyramid, archaic, archetype of the world, geometric metaphor for the cosmos culminates in a magnetic space: the platform-sanctuary. It is the axis of the universe, the place where the four compass points cross the center of the quadrangle: the end and beginning of motion." "the dance of the cosmos." "It is the axis of the Universe, the place where the four compass points cross, thr center of the quadrangle: the end and the beginning of motion." Man at the Crossroads, Diego Rivera, Mexico, 1934. Fresco, [Humanity] Museo del Palacio de Bellas Artes, Mexico City, from the Diego Rivera Web Museum. "The four sides of the pyramid, petrified time, represent the four suns or ages of the world, and its staircases are days, months, years, centuries." "The platform-sanctuary is . . . the point of convergence of the human world and the divine." "Geographies too are symbolic: physical spaces turn into geometric archetypes that are emissive forms of symbols. Plains, valleys, mountains: the accidents of terrain become meaningful as soon as the enter history." "Landscape is historical, and thus becomes a document in cipher, a hieroglyphic text. The opposition between sea and land, plain and mountain, island and continent, symbolize historical oppositions: societies, cultures, civilizations. Each land is a society: a world and a vision of the world and the otherworld." "Each history is a geography and each geography is a geometry of symbols."